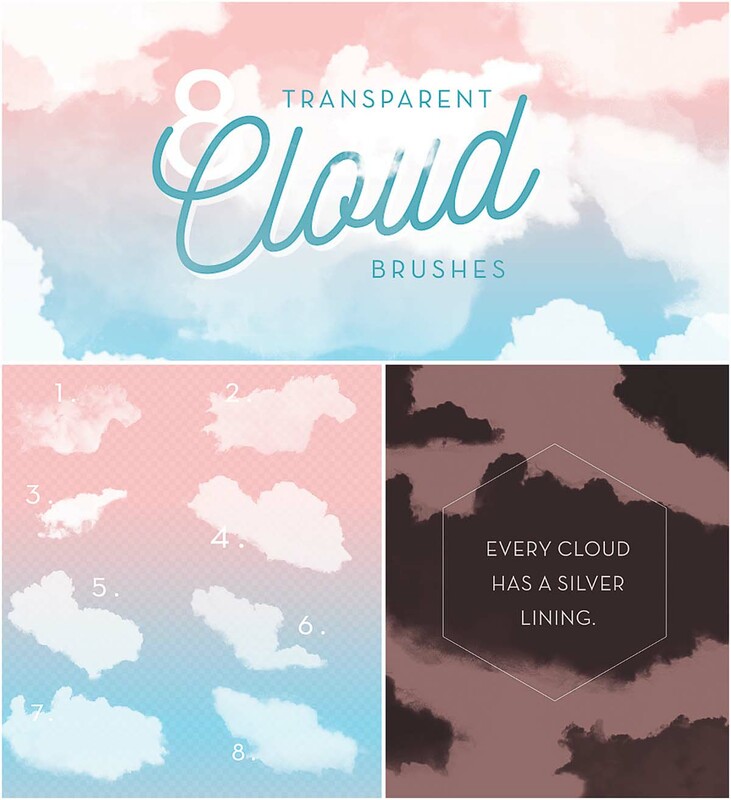 Set of 8 transparent clouds brushes with flawless edges. File format: .abr, .psd for Photoshop or other software. Tags: brush, cloud, lining, photoshop, sky, transparent.